The author argues that Pushkin’s last apartment in Saint Petersburg at 12 Moyka Emb., where he had spent last months of his life and died, is the center of his diverse activities and of dramatic collisions in his private life. Therefore, this locus is in good repute as a historical evidence of the greatest insights of Russian thought and culture. Here Pushkin has finished his novel “The Captain’s Daughter” and his last poems. As was apparent later on, these writings signified completing the reform of Russian literary language. In Moyka house Pushkin has also succeeded as editor and publisher of “The Contemporary” magazine, a literary and social journal of an essentially new type. Keywords: A. S. Pushkin; 12 Moyka Emb. ; “The Captain’s Daughter”; “The Contemporary” magazine; text formation; genre formation. The article deals with lexicographic representation of “insidiousness” in the paradigm of semiс semasiology, and singles out the notions of word-sign and word-concretization in macro- and micro- forms. The author offers four-step analysis of the semantic contents of the word-sign “insidious” with the help of component, definitional and taxonomic analyses, finds out the incompleteness of the prescribed dictionary information, and proves the total environment-unfriendliness of the lexeme “insidious”. Keywords: seme; semiс semasiology; semantic marker; macro- and micro- concretization; component analysis; definitional and taxonomic analysis; emotion; environment-unfriendliness; lexicography. The article describes small talk and its genre needs in the modern communicative space. The results of the sociolinguistic survey of Russians show their understanding of this genre’s essence and the functional value of small talk in modern communicative situation. Keywords: small talk; phatic communication; genre characteristics; sociolinguistics; survey. The article focuses on the study of the idiomatic character of professional discourse vocabulary. The author identifies main types of idiomatic speech units of professional discourse and analyses the ways of their translation into some other language. Keywords: idiomatic character; motivation; semantics; transposition; reinterpretation. The article presents the results of the study of the oil and gas terms functioning in modern Russian language as exemplified by the “centralizer” term in scientific prose texts. This topic is of special methodological interest for specialty language studies, including the studying of Russian as a foreign language. The term is also analyzed with the help of specialized terminological dictionaries. Keywords: terms; oil and gas terminology; scientific texts. The article explores active processes in modern Russian word derivation on the basis of adoption elements from the standpoint of their correspondence with national-specific models of language conceptualization of the world. The innovation types detected by the authors demonstrate significant potentiality of cultural appropriation, while exploiting primordially Russian methods of world conceptualization in words. Keywords: adoptions; derivation; linguoculturology; world conceptualization in word; Russian language. The article analyses the phenomenon of violence as a precondition of dramatic situation creation in a movie plot. The heroines of such movies as “Zhila-byla odna baba” (“Once upon a Time There Lived a Peasant Woman”) by A. Smirnov, “Yurjev den” (“St.George’s Day”) by K. Serebrennikov and “Skazka pro temnotu” (“The Fairy Tale about Darkness”) by N. Khomeriki are overcoming external violence, and it allows to correlate their images with twofold Pagan-Christian prototype of Mother Earth / the Virgin, which is typical for Russian cultural tradition. Keywords: violence; plot; archetype; female archetypical prototype. The article analyzes “hail” as meteorological phenomena, reflected by a set of lexical, phraseological and paroemiological units. The results of lexicographic and contextual analyses allow the author to conceptualize the semantic, stylistic and functional features of the word “hail” as a verbalizator of the associations and stereotypic ideas reflected in the Russian language consciousness. Keywords: semantics; interpretation; figurative usage; polysemy; concept; contextual implication. The article is devoted to historian, literary critic, and the founder of the Petersburg area studies school Nikolay P. Antsiferov. The scholar has left a rich autobiographical and epistolary heritage. His letters and memoirs may be assessed as invaluable historical evidence and outstanding literary work, at the same time they express historiosophical position of their author. The author analyses their content, the modes of expression and style, a special role of the titles of chapters and sections, reveals some allusions to works by Alexander Herzen and symbolist poets, explains Antsiferov’s methods of fact selection and his rejection of naturalism. 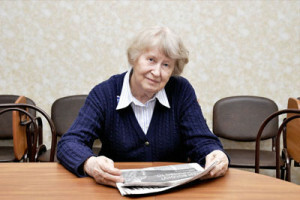 The article compares forms of presentation of the past in letters and memoirs, and proves that the main intention of their author was not showing the horrors of life, but demonstration of the transforming power of human spirit. Keywords: Nikolay Antsiferov; memoirs; epistolary heritage; historiosophy; style; Alexander Herzen; Vladimir Soloviev; allusion; title; literary work. This article offers comparative analysis of two English translations of “Roadside Picnic” by A. and B. Strugatsky. The translators are using different strategies concerning the usage of habitual and historical present in the original. The author tries to trace the links between the interpretations of textual tense, on the one hand, and the point of view, register composition and grounding, on the other. Keywords: praesens historicum; inner point of view; communicative registers; foreground and background. The author compares classifications of the usage areas of English and Russian as a foreign language in technical universities teaching, and concludes that there is a certain “range” of typical Russian-language scientific style phenomena equally difficult for students from different countries, professions, and even different levels of Russian language proficiency. The article includes examples from authentic textbook texts on basic and profession-oriented engineering disciplines, and outlines the learning strategies for foreign engineering students’ practice. Keywords: Russian as a foreign language; scientific style; scientific and technical sub-styles; authentic textbook texts on engineering disciplines; learning strategies; agentless sentences; inversion. The article addresses the problem of Russian culture perception by foreign students, and offers the technology of a literary text interpretation as an effective way of its linguocultural potential disclosure. Keywords: cultural linguistics; linguocultural potential of a literary text; linguocultural interpretation; perception activity. 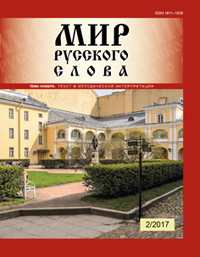 The article deals with the questions of linguistic and methodological potential of the O. Privalova and F. Shumilov’s polycode “The Anatomy of St. Petersburg” texts, and offers some variants of the work with the polycode text “Neva is Almost a Highway” in the groups of foreign students with different levels of Russian language proficiency. Keywords: Russian as a foreign language, methods of teaching; polycode text; speech genres; system of tasks. The article describes the possibilities of policode regulatory texts on environmental subject as the means of developing foreign students’ communicative and ecological competence at Russian language lessons (levels B2–C2), and offers the teaching system, which takes into account the presence of iconic and verbal components and discloses the linguistic, methodological and educational potential. Keywords: Russian as a foreign language; ecology; poster; policode texts; regulatory codes; genre. The purpose of the article is to describe the process of formation of students’ abilities to work with dictionaries as a cognitive strategy, evolving their cognitive and creative abilities, knowledge of the language rules in the consistent implementation of research, legal, creative and promotional tactics. Keywords: educational strategies and tactics; training to work with dictionaries; cognitive strategy of modern education; general learning cognitive skills. Skovorodnikov A. P. Ekologiia russkogo iazyka [Ecology of the Russian Language]. Krasnoiarsk, 2016. 388 p.
The article assesses the anthropogenic load of enterprises of the mining and processing industries on the components of the environment, as exemplified in exploitation of man-made massif causing pollution and disturbance of land and water resources, atmospheric air and, as a consequence, a decrease in the quality of life of the population. Keywords: technogenic massif; pollution areas; pollution streams.